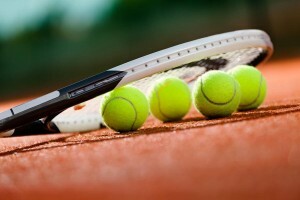 Rafael Nadal will receive stem cell therapy for back pain – Should You? Stem cell treatment may seem logical in certain situations – for example, if you have a mechanical problem where a knee has worn out cartilage, causing bone to rub against bone, it makes sense to use stem cells to grow new cartilage to have a cushion to protect the bone and cause the knee to be less painful. As much as we may want to see him back on the courts grabbing more grand slam titles, if Nadal’s stem cell treatment is being used to eliminate his pain by repairing his joints or discs, the actual cause of his back pain may not be addressed. Muscles are the largest organ system in the body, accounting for approximately 50% of our body weight. We have different ways of categorizing muscles: how they look, how they move, and where they’re located. We are going to focus on muscles that move voluntarily, which means we tell the muscles to move, as opposed to involuntary muscles, which automatically move on their own (like our heart and blood vessels). 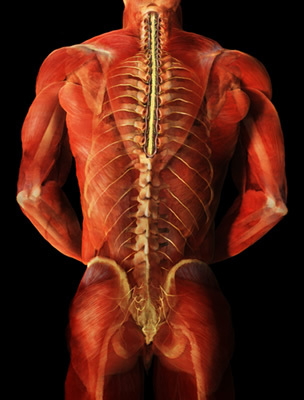 There are 641 muscles in the body – 340 pairs (meaning we have one on the right, and one on the left), and one unpaired (which is the transverse arytenoid for those who must know). 70% of lower back pain is diagnosed as idiopathic or non-specific, which means we are not sure what caused the pain. However, most investigators believe that sprains and strains of the soft tissue are the source of pain. Soft tissue refers to muscles, tendons, and ligaments. So it may be surprising that the emphasis in evaluating and treating lower back pain, neck pain, and shoulder pain, is on the spine and the nerves coming out of the spine. In fact, from 1997 to 2005, the prevalence of the diagnosis of spine-related issues has increased 100% while the diagnosis of strains and sprains of soft tissue has gone down by 40%. This is generally attributed to the increase in the use of high-tech imaging studies, such as MRI and CT scans. However, just because we have a clearer image of what’s going on inside of your body doesn’t mean that we have a clearer understanding of what’s causing your pain. More than 90% of lower spine MRIs exams in adults are abnormal. Studies have found that up to 40% of people have herniated discs and as many as 70% have degenerated discs with no pain. If people can walk around with abnormal spines without pain, then this means that abnormalities in the spine aren’t always the cause of pain. Your diagnosis of a herniated disc, spinal stenosis, or spondylosisthesis may actually be unrelated to your source of pain. Muscles are often ignored when it comes to diagnosing pain. I believe the reason is that we rarely evaluate muscles as a source of pain. We generally don’t learn about or understand how they work, what chemical changes take place inside, and how they produce pain (the pathophysiology). 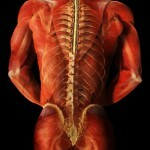 I would like to take the next few blogs to discuss how muscles contribute to your chronic pain. Martin, B., et al. Expenditures and health status among adults with back and neck problems. JAMA. 299(6):656-64, Feb 2008. Zimmerman, Robert D. “A Review of Utilization of Diagnostic Imaging in the Evaluation of Patients with Back Pain: The When and What of Back Pain Imaging.” Journal of Back and Musculoskeletal Rehabilitation 8 (1997): 125-33. When treating chronic back pain, over-reliance on imaging studies frequently suggest arthritis, disc herniations, spinal stenosis, degenerative disc disease, and spondylolisthesis as the underlying diagnoses. Unsuccessful treatment often results if muscles, tendons, and fascia are not considered in the differential diagnosis. Widespread pain is often diagnosed as Fibromyalgia Syndrome (FMS). In 1990 the American College of Rheumatology (ACR) presented classification criteria for the diagnosis of FMS [http://bit.ly/1bCzlC4.] 11 of 18 specified tender points as well as widespread pain defined as pain experienced on the left and right side, in the upper and lower body, and axially. Most patients are diagnosed with FMS by their primary care physician. However, most primary care physicians do not perform a physical examination of tender points. Because of this the ACR in 2010 proposed an additional set of diagnostic criteria for FMS that did not rely on a physical examination (http://bit.ly/1bCzlC4). Threshold scores on two new indices created by the ACR- the widespread pain index and the symptom severity scale score based on the presence of fatigue, waking un-refreshed and cognitive symptoms. Patients must have similar symptoms at approximately the same intensity for at least three months. No other disorder would reasonably explain the pain. Although there is reasonable correlation between patients diagnosed with the 1990 criteria and the 2010 criteria, the absence of the physical examination may lead to overlooking patients whose diffuse pain can be successfully treated by addressing peripheral pain generators. Painful tissue peripherally (for example muscle or joint) can sensitize muscles diffusely [Woolf CJ, Central Sensitization: Implications for the diagnosis and treatment of pain. Pain 152 (2011) S2-S 15]. I welcome your comments on the complexities of diagnosing and treating FMS; more on central sensitization in my next post.